Now kids can prepare food in a slow cooker! No open flame! No hot stove top! Fix-It and Forget-It Kids' Cookbook: 50 Favorite Recipes to Make in a Slow Cooker offers kids the direction they need to prepare main courses, snacks, and desserts. "Take your children a step beyond nachos and cupcakes," says author Phyllis Pellman Good. "Let them prepare a tasty main dish in that easy-to-get-along-with appliance  the slow cooker." Each recipe includes a full-color photo of the finished dish. Each recipe gives clear step-by-step instructions. Each supplies a list of ingredients and a list of equipment needed to complete the prep. "This is one friendly and engaging way to bring your children into the kitchen with you," states Good. "When they help to fix a meal that they and their family enjoy, they'll be back to make more." 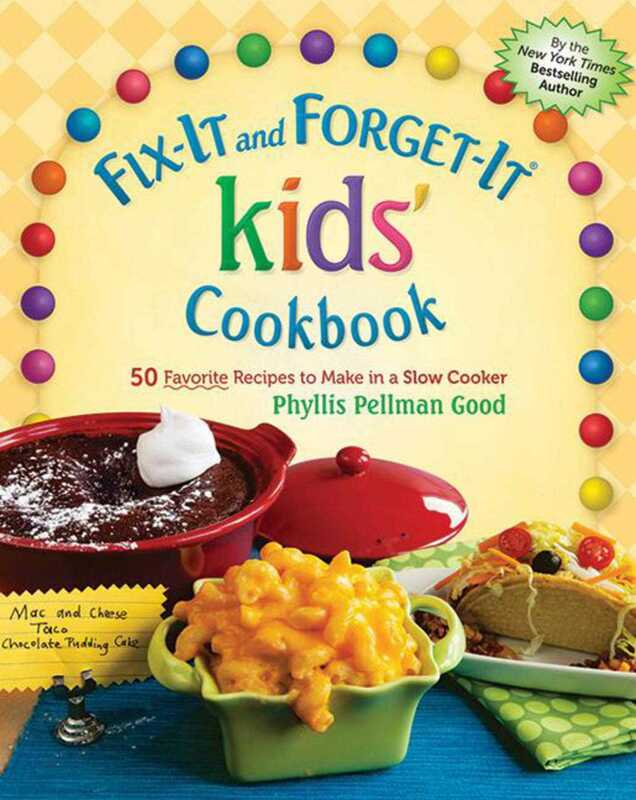 Fix-It and Forget-It Kids' Cookbook includes Fruity Waffle Topping, Cheesy Egg and Broccoli Breakfast Casserole, Big Juicy Burgers, Super Spaghetti Sauce, and Chocolate Covered Pretzels. Plus 44 more "may-I-have-another-helping" favorites.